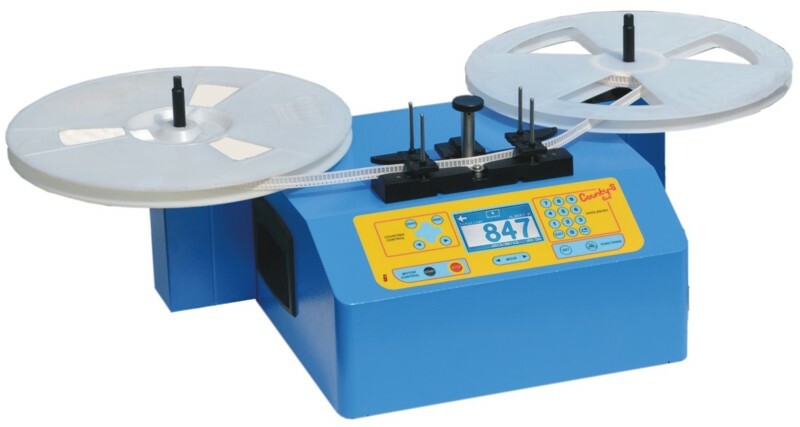 The COUNTY EVO Component Counter is a microcomputer based instrument which counts axial and radial components on tape. With the SMD adaptor (8301.018) it can also count SMD components. It counts in both directions. 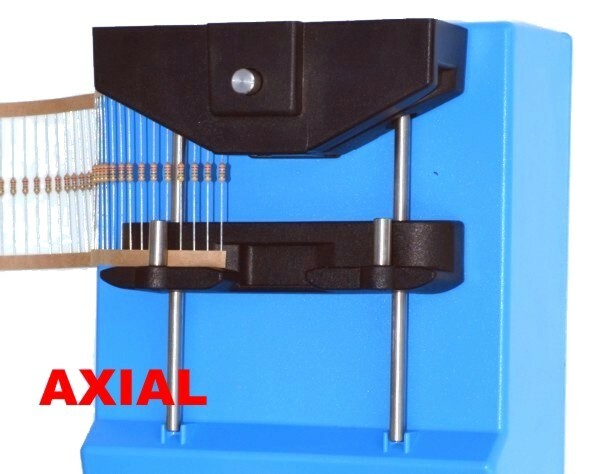 It is equipped with a divider from 0.5 to 19 and a totalizer mode counting or Preset mode with an alarm that starts when the desired component number has been reached. The county is available in two versions, one with a rechargeable battery, with barcode reader input, output for Printer & PC; Clock, and memory for 500 counting records (models 8301.084 for 110V & 8301.082 for 220V) and the other one without battery (models 8301.083 for 110V & 8301.081 for 220V). 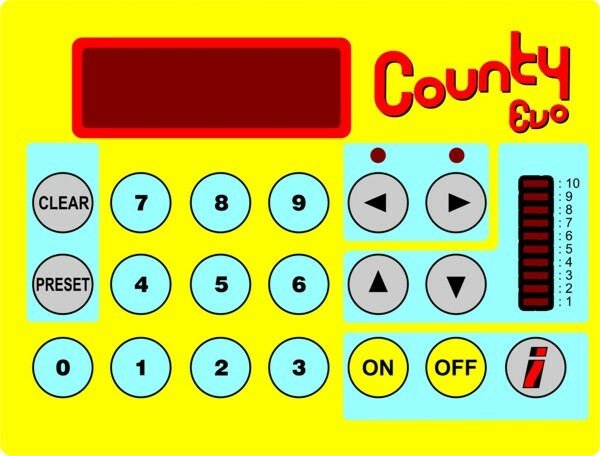 The COUNTY Component Counter comes ready to count axial & radial components. 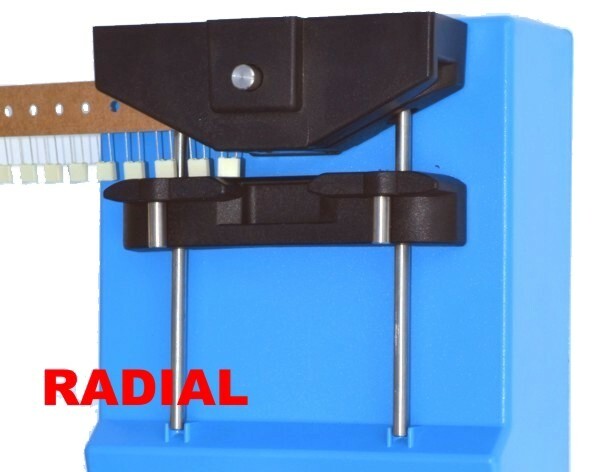 To count radial components, just remove the adjustable guide and turn it so the flat side will be in front of the optical head. This flat side will guide the body of the radial components. Before counting, it is necessary to select the number of leads per component by setting the divider with the up and down arrows. Can enter up to 10 leads for component. 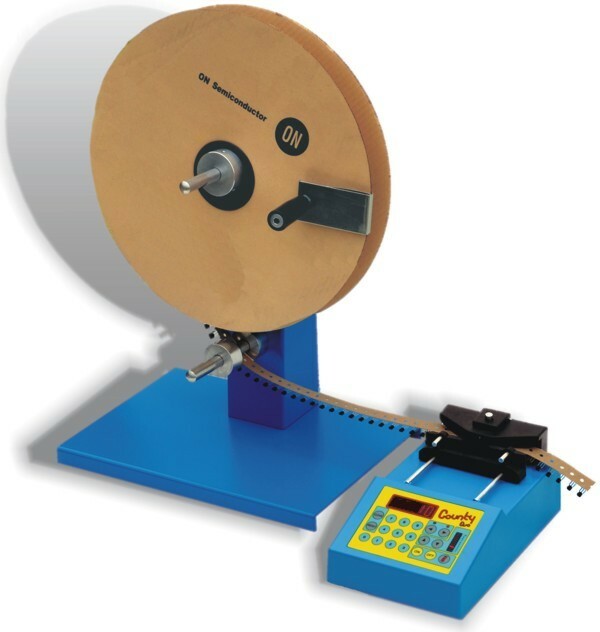 The support for axial and radial components (8301.023) is a very useful accessory when the components come in a reel. 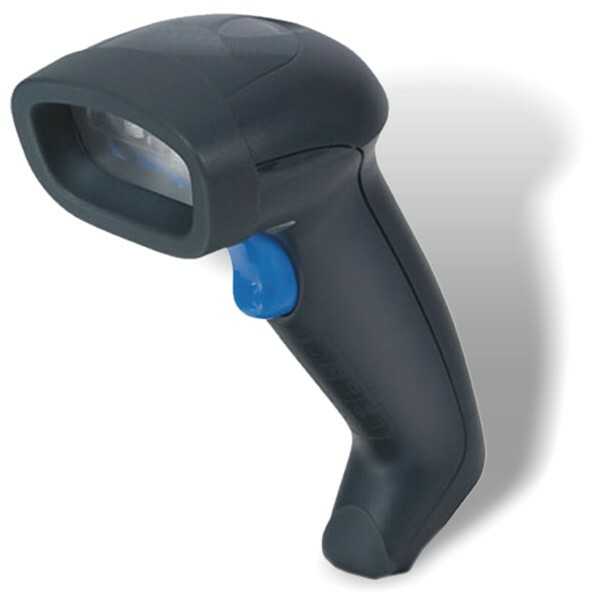 The Barcode Reader is small, light weight and ergonomically designed. It includes a coiled cable. 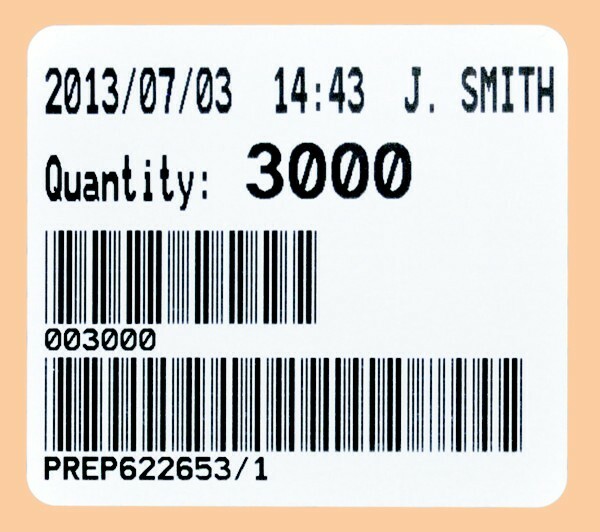 A wider than usual scan angle provides the ability to read a longer bar code from a shorter distance, IP42 protection. 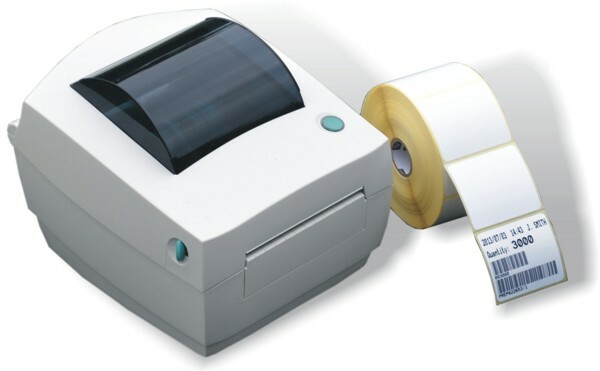 The barcode reader is connected and powered via a single cable without the hassle of two separate cables. 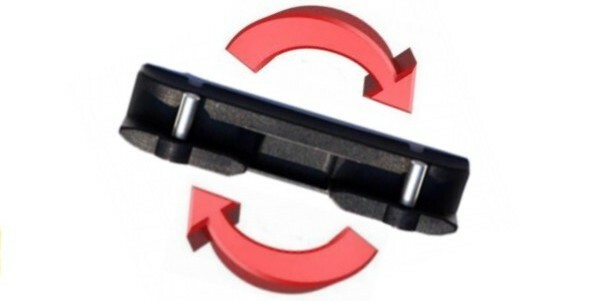 The SMD adaptor (8301.018) is a County component counter optional accessory to count SMD parts. 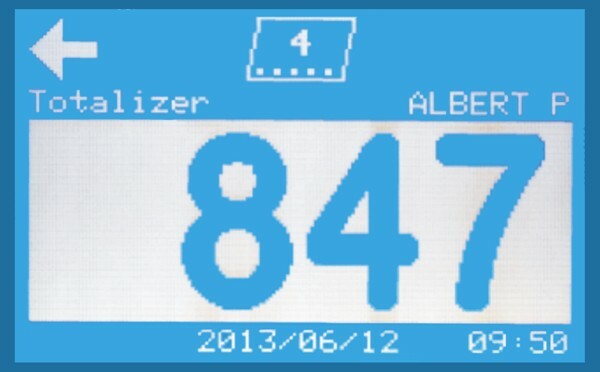 The maximum tape height is 56mm and the number of holes for component is min. 0.5 - max. 19. Mounting the adaptor does not require any tools and it is locked in place by snap action to the same shafts that hold the axial & radial guide. 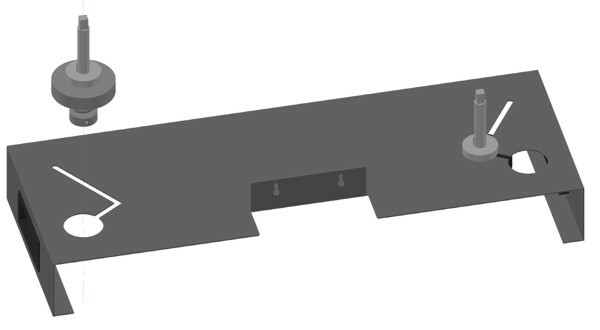 Component counting is achieved by counting the punched holes on the SMD tapes. The new COUNTY-S EVO replaces the old County-S SMD Component Counter. 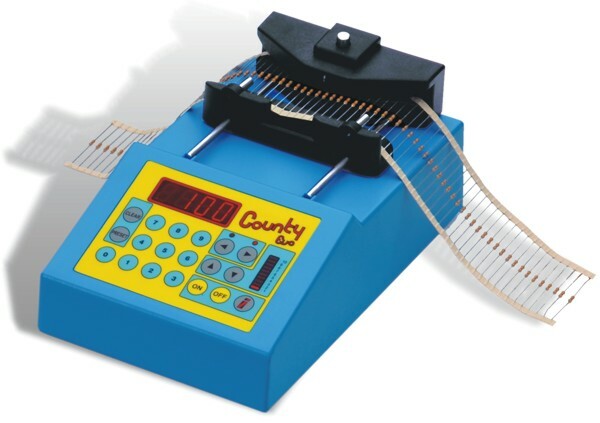 The County-S EVO works by counting the holes on the tape. Preset mode: the desired component number is entered on the keyboard and the counter automatically stops when it reaches the corresponding component. All functions are easy to operate with the help of interactive messages on the display. 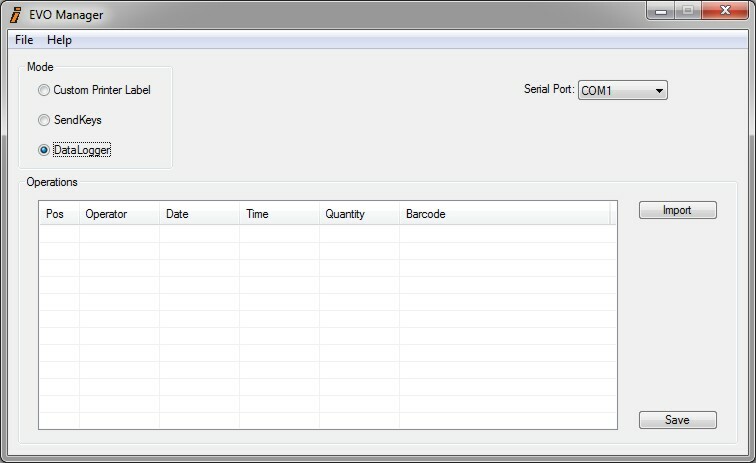 - Sendkeys to send input to a target program (eg Microsoft Excel). The target program will receive inputs as from a keyboard. - Datalogger to import on a table all the records of the last 500 works performed. This table can be exported in a common spreadsheet (eg Microsoft Excel). EvoManager1.0.exe The program was tested for many printers. Test it now, even without the counter, for compatibility. 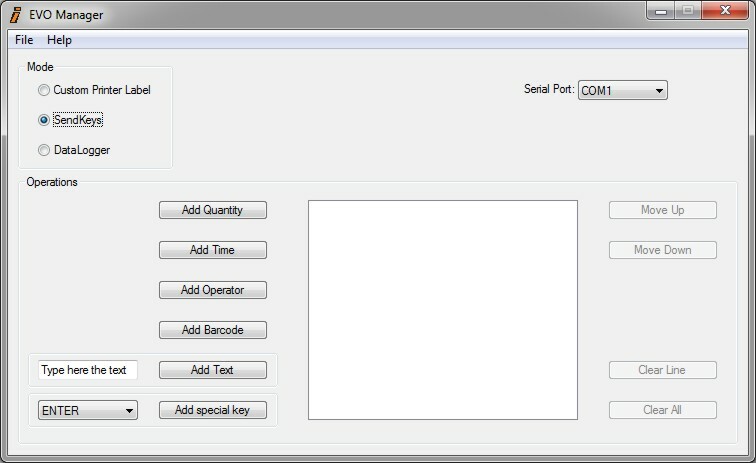 Counter-Pen™ is a combination marker and digital counter designed for the lab and plant. Each time a black mark is made with the felt-tipped pen, it automatically sounds a beep and the LCD displays the count. 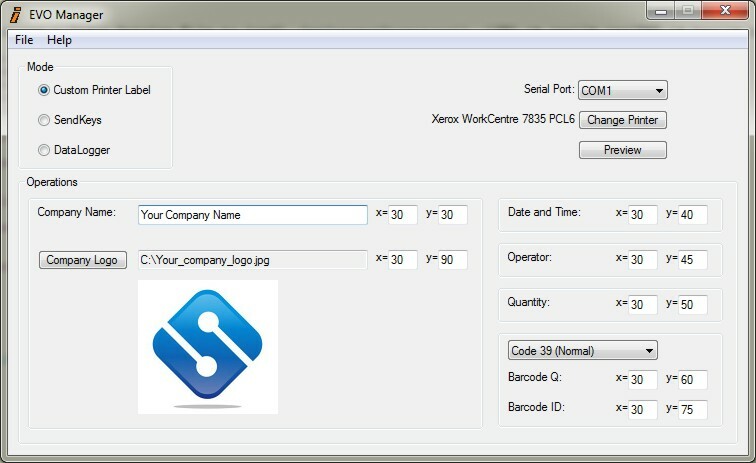 It is very useful to count components, packages and during inventory. Durable ABS plastic unit provides audio/visual counts to 99999 with reset button, on/off switch, and pen cap.